For the Best Falafel, Make Them at Home! Last month, I went on a quest to find the best falafel in the Bay Area. It mostly ended up in disappointment. Yes, there were a couple places making falafel I’d happily eat again, but they required quite a trek from my East Bay home. It’s a lot to ask for a quick, cheap meal. A far, far better solution is to simply make falafel at home. It is not terribly difficult to make a better falafel ball than what you can get at 90 percent of the Middle Eastern joints around town, and (bonus!) you can flavor and serve them however you’d like. Stay away from canned chickpeas. You’ll need to soak dried chickpeas overnight and cook and shape them without cooking them first. Trust me. You will absolutely need to fry the falafel. There’s no way around it — baked chickpea balls are not true falafel. Serve the falafel straight out of the fryer. Letting them rest and attempting to re-crisp the exterior does not a good falafel make. Embrace their last-minute nature and have fun with it. After the chickpeas have soaked overnight, drain them thoroughly. Moisture is the enemy here, so take care to dry off any excess liquid. Transfer to a food processor. 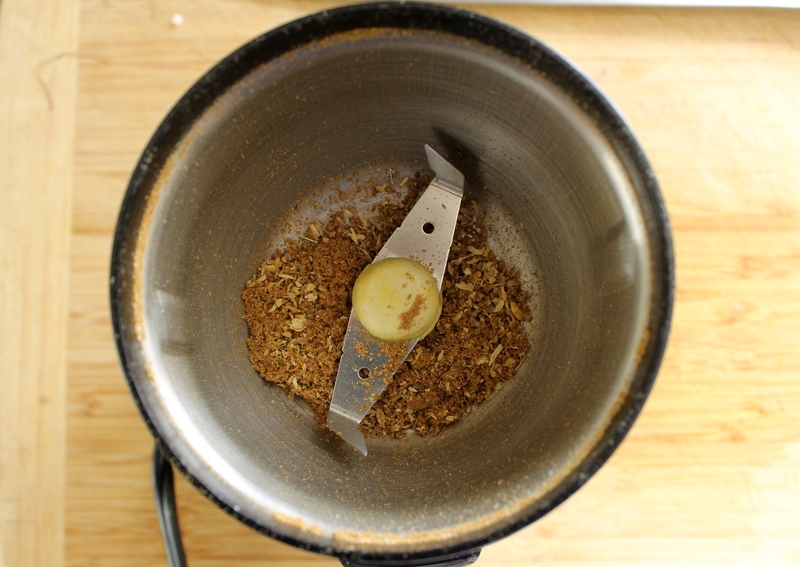 To season the falafel, I like to start with whole spices, toast them, and grind them in a spice grinder. You don’t technically need to take this step, but if you’re going to go to the trouble of making falafel at home, you might as well do it properly. I like to use ½ teaspoon each of cumin and coriander seeds, which only need about 30 seconds over medium heat to turn aromatic and another 30 seconds in the spice grinder to turn to powder. You can also grind them in a mortar and pestle if you want to get an arm workout. I also like a serious mix of herbs and aromatics. Most falafel recipes call for at least an onion, garlic, and parsley, but I like to go a little crazy. I like to use a mix of cilantro, scallion, and crushed red pepper flakes, in addition to the parsley and garlic. I also swap out the onion for a medium shallot. (Recipes that call for portions of onions are a pet peeve of mine, and a whole onion is far too much for this amount of chickpeas.) Whatever you do, mince all of your aromatics before adding them to the processor. 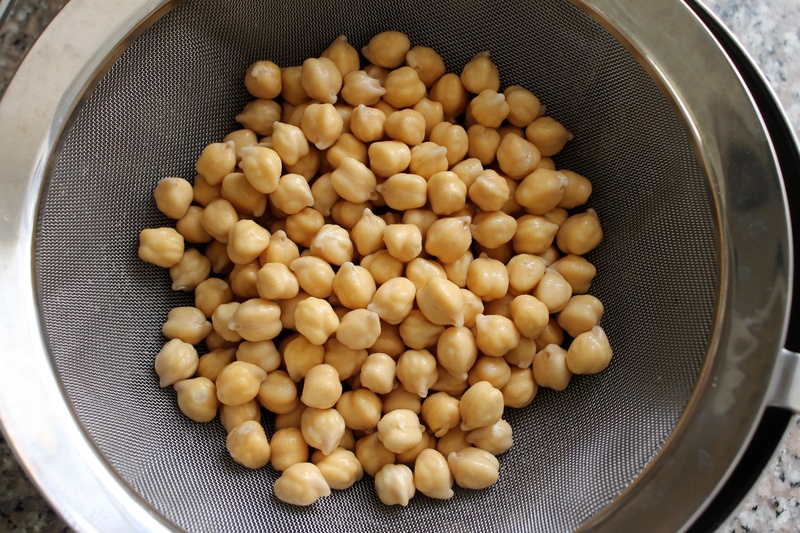 You really don’t want to over-process the chickpeas, and pre-chopping will reduce that risk. Add all of these additions to the food processor with a hefty amount of salt and begin to pulse the mixture. Go slowly — you’re looking for a somewhat coarse paste that is moist enough to hold together, but not so moist that it clumps up into a Play-Doh texture. Those little pebbles of chickpeas are what give the final falafel texture. Try pinching some of the mixture together. It should sort of stick together, but it shouldn’t actually be sticky. Transfer to a bowl and let the mixture rest for a few minutes while you make the dipping sauce. Tahini sauce is traditional (and delicious) here, but there are lots of different ways to make it. I like to mix equal parts tahini and water, and then add in a bit of lemon juice and garlic. I prefer to grate the garlic through a Microplane into the sauce, but you can also use a garlic press to make a paste. Season to taste with salt and set the sauce aside until serving. Now it’s frying time. Frying foods is really not difficult or challenging, but it does require attention. I like to fry in my enameled Dutch oven, but you can use a large saucepan or pot, or even a deep cast iron skillet if you’ve got one. You definitely do not need a designated fryer. Pour one inch of vegetable oil into your chosen frying vessel. I like to use safflower oil, but you could use canola oil or even peanut oil if you prefer. In my pot, one inch of oil usually works out to around 3 cups. Place the pot over medium high heat and bring the oil up to 375 degrees. It will take awhile to get this hot, so be patient. The easiest way to know if the oil is ready is to (obviously) use an instant-read thermometer. You can also use a candy thermometer, or you can wing it. To test if the oil is ready without a thermometer, add a small pinch of falafel dough to the oil and take a peek. It should start bubbling immediately and turning golden brown within 30 seconds. While the oil is heating, roll the falafel balls. 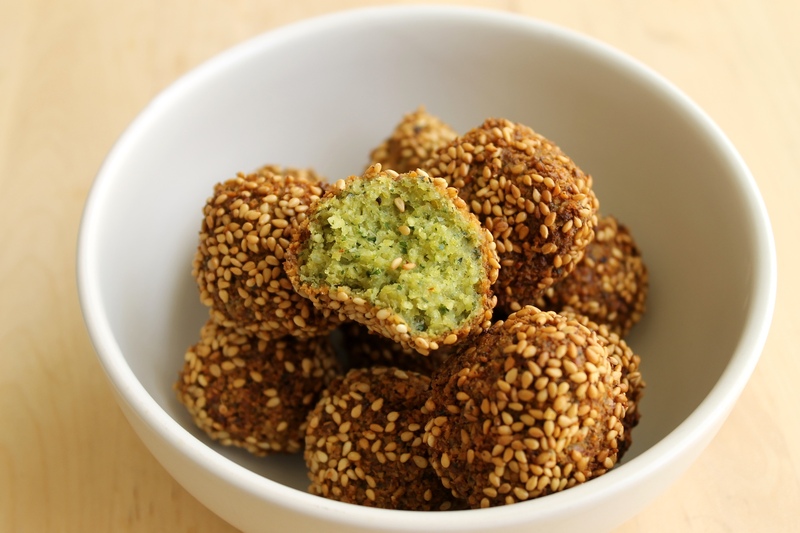 Gently pinch off a portion of falafel dough and roll into a ball about the size of a walnut. It takes a gentle touch. Try not to compress the dough too much. I really like my falafel coated in sesame seeds, so once I’ve rolled a couple of balls, I’ll transfer them to a pie plate filled with the seeds. Roll them around to coat (it won’t be totally even, but that’s okay) and transfer to a plate. You can also skip the sesame seeds if you prefer. Once the falafel are all rolled and the oil is hot, transfer half of the falafel to the oil. (If you’re using a smaller saucepan, you may need to fry the falafel four at a time.) I like to use my hands to gently place the falafel in the oil. It may seem scary to get your hands that close, but it is actually much safer and runs far less risk of splattering hot oil all over your face and hands. Let the falafel sit, undisturbed, for about 30 seconds to form a crust. Then give them a gentle stir and continue to fry. I like to flip/stir the falafel about every 30 seconds or so to ensure even browning. Let them fry until they are very deep golden brown. It’ll take around five minutes. You’ll likely be tempted to pull them out early. Don’t. The chickpeas need the full five minutes to cook through. If they’re browning too fast, turn down the heat. If they’re not browning enough, increase the heat. Here, it really helps to have a thermometer to monitor the oil’s temperature — you want it to stay between 350 and 375 degrees for the best results. After the falafel are well-browned, transfer them to a cooling rack set inside a baking sheet. (Use a slotted spoon or a spider for this step, not your hands.) Bring the oil back to 375 degrees and repeat the frying steps with the remaining falafel. Serve the falafel as fresh from the fryer as possible, drizzled with or dipped into the tahini sauce. Note: This recipe can be doubled to make more falafel, but do not fry more than 6 falafel balls at a time. Serve them in batches, fresh out of the fryer. Serve falafel on their own, in pita bread, or on top of a salad, drizzled with the tahini sauce. You will need a food processor and a thermometer for this recipe. 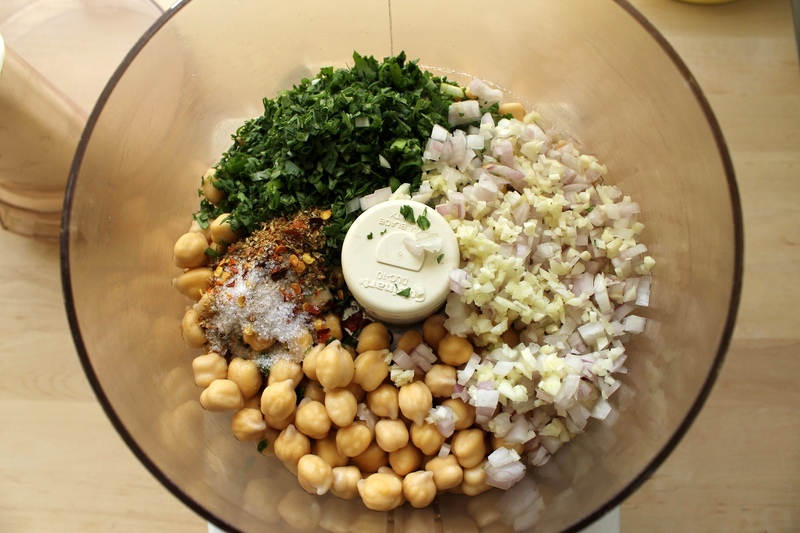 The night before making the falafel, place the chickpeas in a medium bowl and cover with at least 1 inch of water. Cover and let soak overnight at room temperature. The next day, drain the chickpeas thoroughly. Transfer to a food processor. Place the cumin and coriander seeds in a small skillet over medium-low heat. Toast, stirring frequently, until aromatic, 30 seconds to 1 minute. Transfer to a spice grinder or mortar and pestle. Grind to a powder and transfer to the food processor. 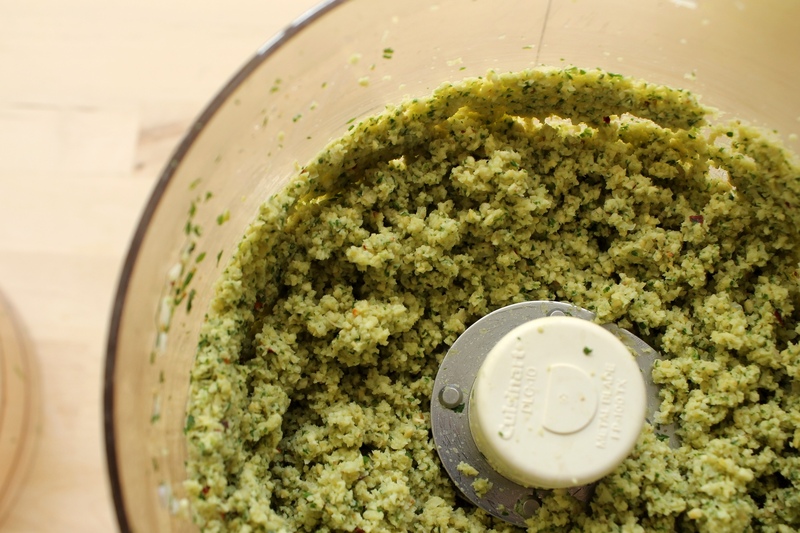 Add the shallot, parsley, cilantro, scallion, garlic, salt, and red pepper flakes to the food processor. Pulse, scraping down the sides of the processor as needed, until the mixture has formed a coarse paste, 10 to 15 one-second pulses. The paste should be somewhat moist and should be able to hold together when pinched, but there should still be distinct pieces of chickpeas throughout. Transfer to a bowl. 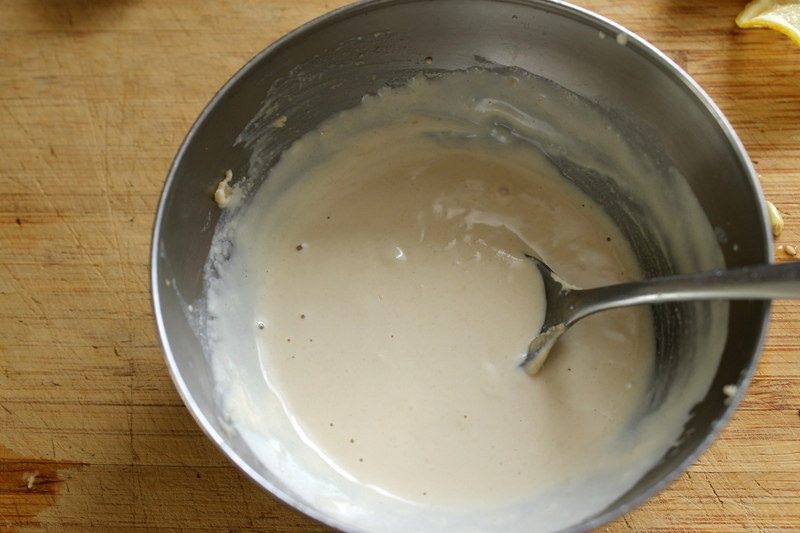 Prepare the tahini sauce: In a medium bowl, whisk together the tahini, water, lemon juice, and garlic. Season to taste with salt. Set aside for serving. 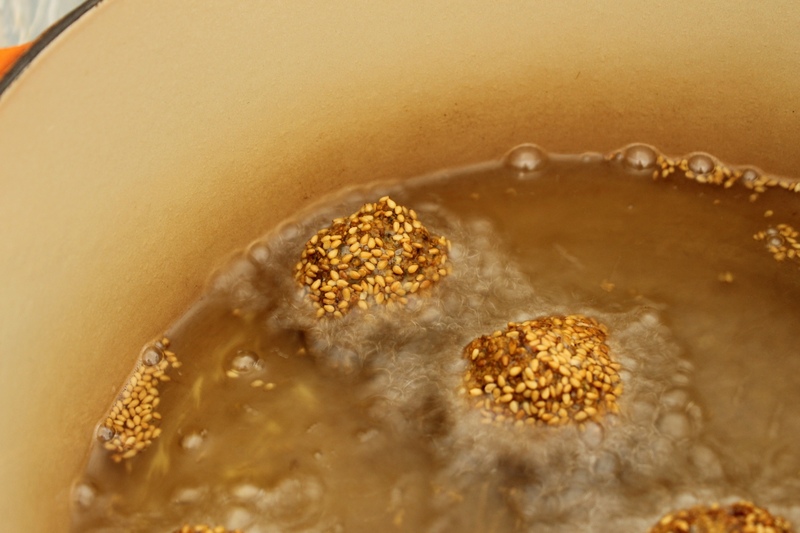 Pour the safflower oil into a Dutch oven, large pot, or deep cast iron skillet. The oil should be about 1 inch deep. Bring oil to 375 degrees over medium-high heat. 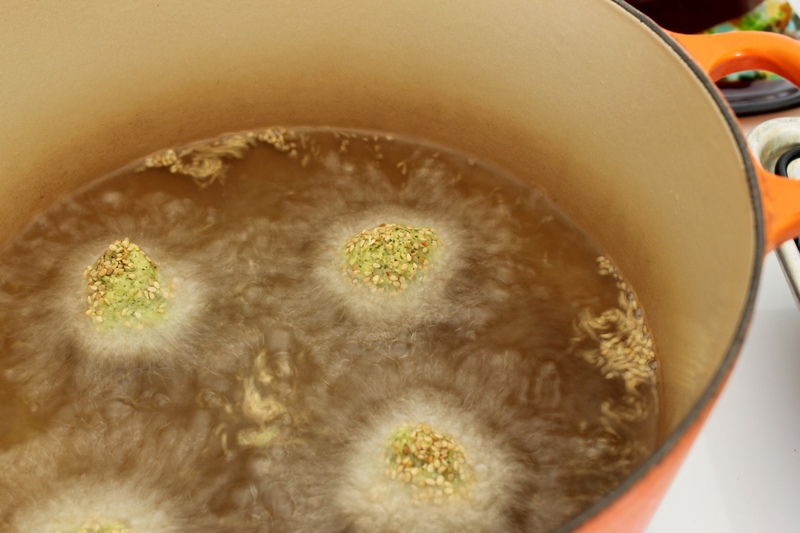 While the oil is heating, shape the falafel: Place the sesame seeds in a shallow bowl or pie plate. Pinch off and gently roll falafel mixture into walnut-sized balls. 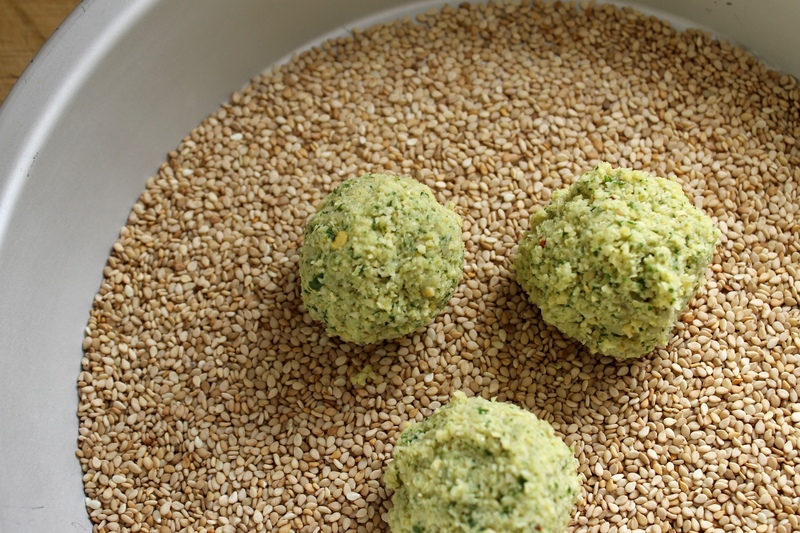 Roll the falafel balls in the sesame seeds to coat. Transfer to a plate. When the oil is hot, gently add 6 falafel balls. Let the falafel sit undisturbed for 30 seconds to begin to form a crust. Continue to fry, stirring occasionally, until falafel are deep brown and crisp, about 5 minutes. Monitor the temperature of the oil and adjust the heat as needed to keep it between 350 and 375 degrees. Transfer the falafel to a baking sheet lined with a cooling rack. Return the oil to 375 degrees and repeat with the remaining falafel. 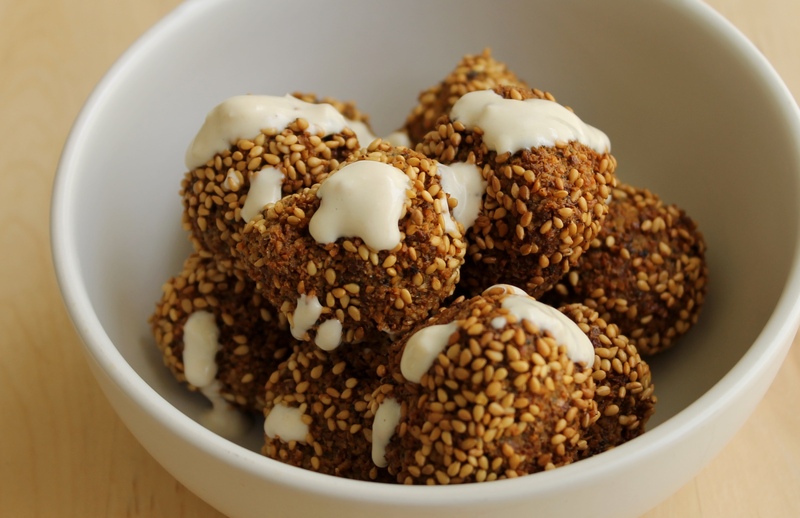 Serve falafel fresh from the fryer with the tahini sauce.